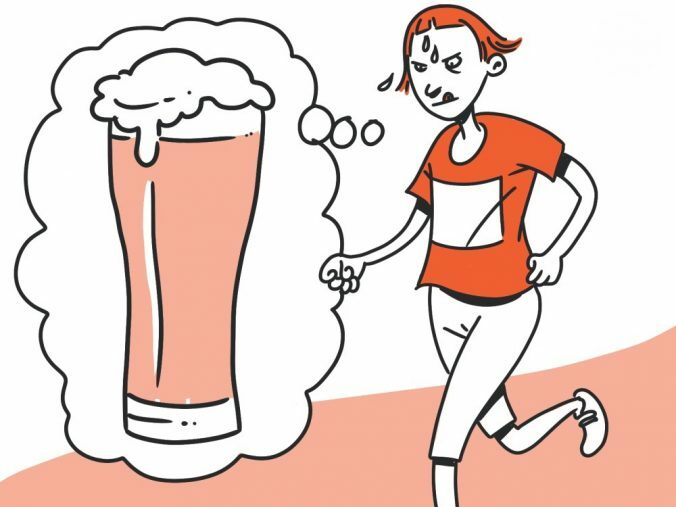 To an outsider, a runner’s vices may seem to be related to shoe or accessory purchases, lack of self-control when it comes to signing up for races online, or the unauthorised use of toilet facilities at a service station. The outsider may be right – or not. Based on my experience, I listed the five most common vices, as well as proven ways to address them. This is a besetting sin that plagues both beginners and more experienced runners who are coming back from a longer break: they simply cannot resist running, because it feels so good. This leads to them running too much, too soon: too many miles, too many hours, too much everything. Then they suffer the consequences. Give your body time to adapt and be patient. You should not increase your training mileage by more than 10 per cent at a time. As we all know, nothing beats running. However, running in itself is not enough: you also need to train your core muscles, stretch and take care of your body in other ways. I’m trying to include at least five minutes of core training in my daily schedule, as well as stretching after each run. This is more effective than trying to fit in longer, more comprehensive and complicated sessions on several days during the week, as five minutes a day is much better than nothing. Why do we compromise on sleep so often, even though we know how important it is to get enough rest? Instead of counting your weekly mileage, try counting your total hours of sleep. You may be surprised. Research shows that sleep is the best way to recover, and sleep deprivation affects performance, in addition to having many other adverse effects. I read somewhere that you should counter each mile you run during the week with an extra minute of sleep. For example, if you need eight hours of sleep per night and you run 31 miles per week, you should get eight and a half hours of sleep each night. Many people seem to think that running will change their life immediately: they will start eating better, lose weight and be more energetic. Not going to happen. In running, you should proceed one step at a time, much like in every other area of life. There is no point in burdening yourself with everything at once. Learn one thing and routine at a time. I guarantee that you will get more permanent results. In a race, in particular, it’s tempting to run at full speed from the get-to. This is understandable: having a number on your chest and being surrounded by an enthusiastic, intensely concentrating crowd tend to play tricks with our mind. However, you need to have patience at the starting line and distribute your energy throughout the race if you want to win – at least against yourself, if not the entire event. I can guarantee that you will still be able to give your all – and then some – on the final stretch, and it will feel much better than doing so during the first mile.